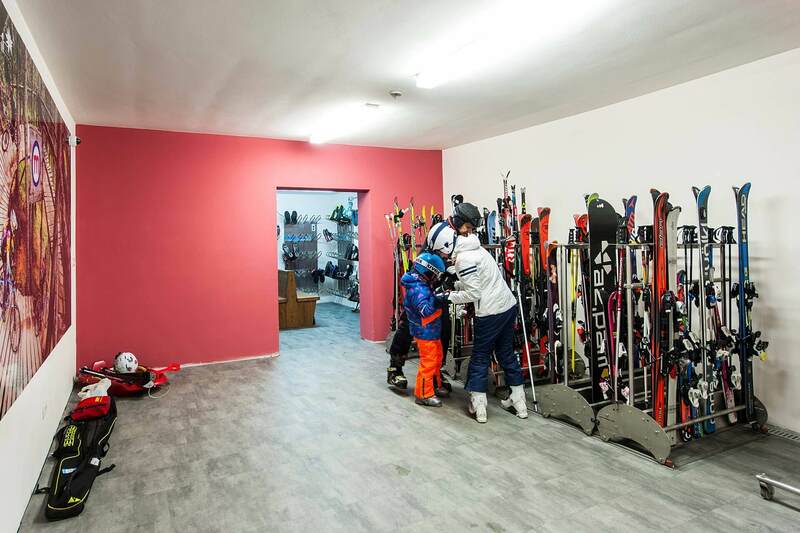 For a summer or winter holiday in Livigno, Hotel Touring welcomes you to well-tended and comfortable rooms, with all the most modern amenities and traditional hospitality. Ideal for a vacation with the entire family, thanks to a wide range of services dedicated to the needs of children and parents, Hotel Touring is also perfect for sports buffs looking for an active vacation. There is so much to choose from the many activities to take part in Livigno and in the surrounding areas ! 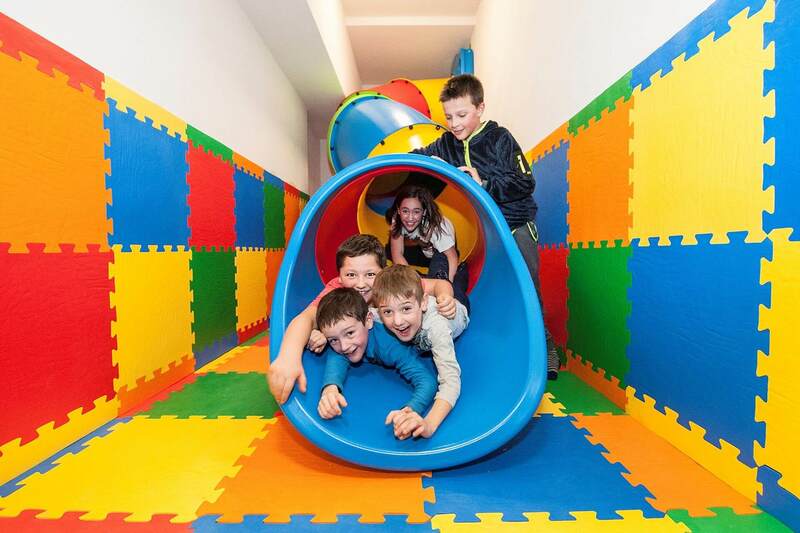 Restaurant pizzeria with play area, spa, pool with spray park area for children, games room for kids, gym, beauty center, free private covered parking area...Hotel Touring Livigno has it all! You can purchase a travel insurance within the 24:00 of the day after your booking. In case of payment of the deposit before arrival at hotel click here. In the case of payment of the total cost of your stay at the hotel prior to arrival click here. At the Hotel Touring children are welcome! Rooms and services are designed to give families a thoughtless holiday, funny and relaxing both for adults and children. Kids room, suite, connected rooms... It's your choice! 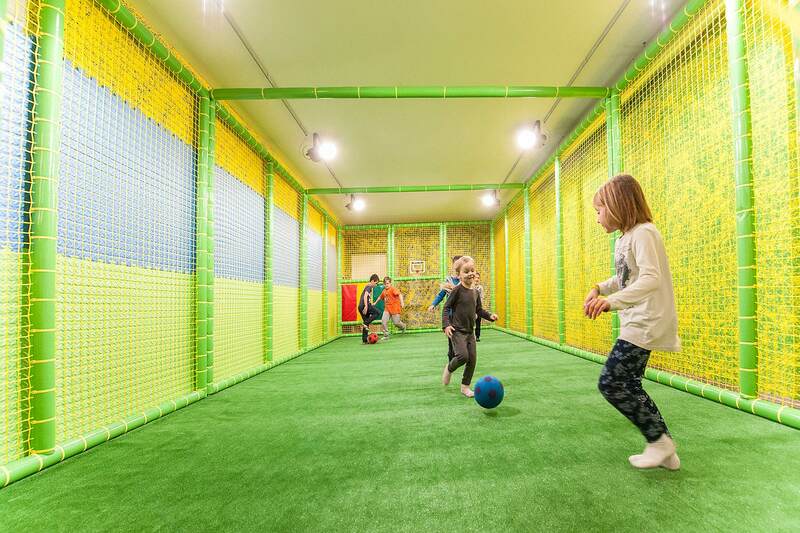 Don’t worry about your little pests; Touring has set aside a large area that’s specially designed for them, with a climbing wall, table games, table football, lego, a playground for toddlers filled with colored balls, and for especially active kids a wonderful five-a-side indoor football court where they can unleash all their pent-up energy!! Not your ordinary pool, but an area where children can play freely without any hazards, including water guns and fountains, and the thrilling Jungle belly slide that arrives directly in the kids’ pool. Let the staff of Kinder Club Lupigno take care of your kids, during both summer and winter! Rich buffet with freshly baked pastries and cakes; possibility of continental breakfast. The traditional Italian dishes selected and interpreted with skill by our chef. The specialty cuisine of the Valtellina with fixed price menu. Valtellina tantalizing menu, tasty appetizers, pasta, fresh fish and meat delicacies, desserts and ice cream for the guests the hotel. Tasty pizza cooked in the best Italian tradition. Giropizza menus for groups: all the pizzas you want at only 15 euro each. A drink at the bar or a quick lunch at the table with a pizza or a dish from the paper menù. And then breakfast, even English, with snacks made. Not to mention our very own famous crepes. Spacious rooms that can accommodate up to 180 people for events such as weddings, christenings, birthdays and gala evenings. Possibility of live music. A room made ​​entirely of wood, according to tradition Livigno, for a maximum of 25 people: a reserved, quiet and full of charm for a romantic dinner and those who love peace. Special evenings with a cheese fondue or meat. Take some time to indulge in pure relaxation and forget the tensions of everyday and regenerating body and mind with pure vital energy. Our Wellness area provides you with a portentous mix of rooms, saunas and tanks, designed specifically for the well-being and health. Refresh yourself from the studied combination of water and heat, let yourself be penetrated by unusual sensations of serenity and regain tone and energy. 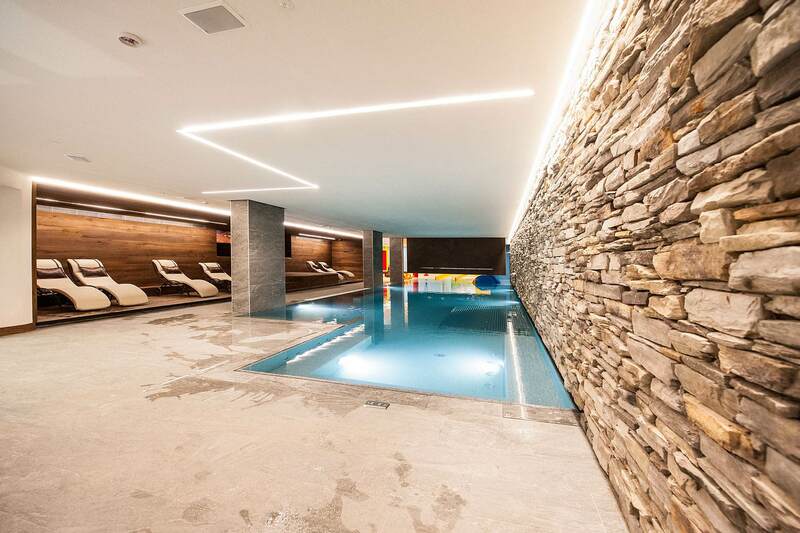 A brand new area for your relaxation, the pool with jacuzzi areas, waterfall and relaxation area with loungers where you can enjoy a relaxing moment after a day spent outdoors. An area entirely dedicated to the fun of your children with a spray park and a small pool exclusively for them. The sauna is the perfect place to ease tension and shake off stress. Revenue from the environment and savor a dry temperature of 90 ° perceive immediately a feeling of tranquility and relaxation. This environment reaches a temperature of 45 ° at full steam and oils and herbs healing dissolved in it, absorbed by the skin and the respiratory tract, play an action the body beneficial for all. Aromatic sauna called Brechelbad at a temperature of 55 ° with vapors that can impress your senses and give you the impression of being in the middle of a forest. In passing from an environment and other refresh yourself in this special room, with comfortable chairs that add relaxation to relax. Thanks to its treatment side water jets, a shower involves revitalizing your accordance with an amazing combination of water and colors. 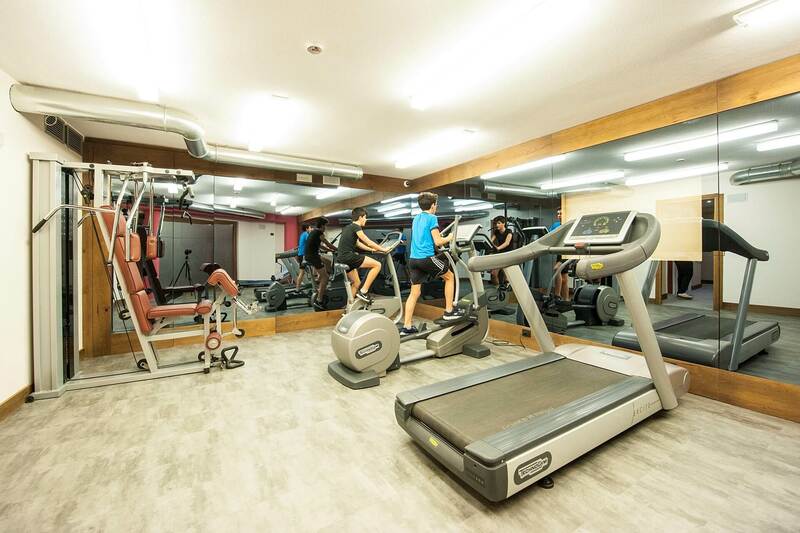 Sports fans who want to increase the component of the movement have to available a special fitness area, furnished with the best Technogym equipment. One: a multifunctional machine that allows you to make more than 25 years. Run: the professional treadmill gym. Bike: a new version that perfectly recreates the effect of riding on the road. Syncro: the elliptical professional designed to eliminate all muscle and joint stress trends in general. Rowers: used by the Rowing national team during the summer holiday to the Hotel Touring. 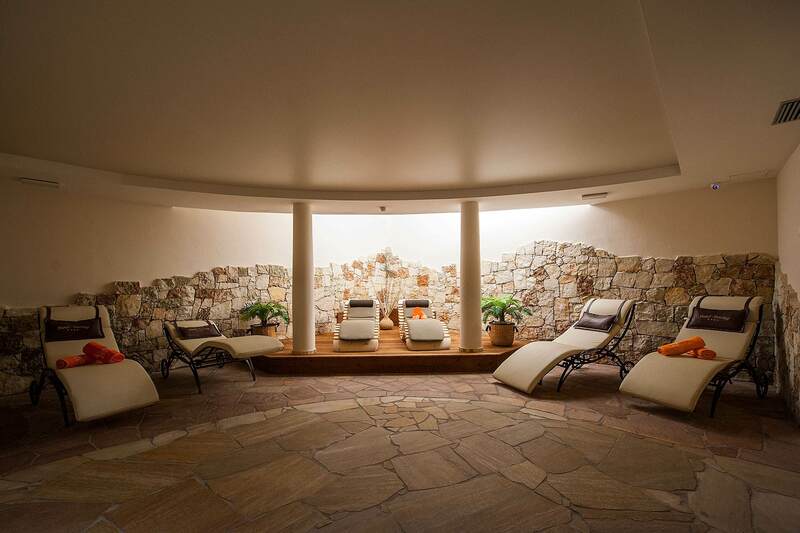 Our Spa is at your disposal to relax, unwind and pamper yourself. Beauty and wellness professionals are ready to take care of your body for give back to you force also and regenerate your mind. Entrust your body to our hands: you can expect a wide range of relaxing treatments and invigorating, ideal to loosen your muscles and indulge in pure relaxation. You can choose between anti-stress massage, circulatory-draining, Ayurveda, reflexology, shiatsu, stone massage, back: discover new sensations of pleasure on your skin. 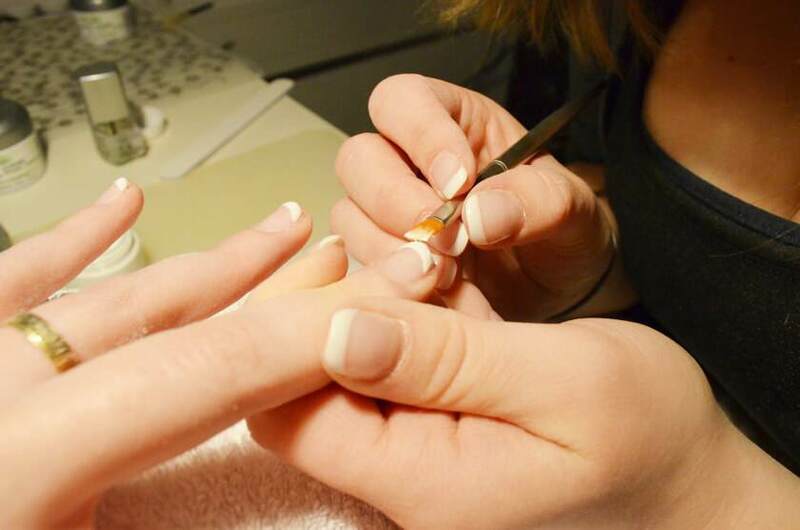 Also the eye wants its part, so we offer all the best treatments to improve your appearance with the utmost delicacy: hair removal, facial treatment, pedicure, manicure, nails, makeup personalized and many others.